Patience… All your questions will be answered. Logan was 18 months old when we first saw him for the first time. He was so small and we both fell in love with him instantly. Since Logan was still a ward of the state (a foster child) we (his foster parents) had to follow strict procedures concerning Logan’s health needs. Soon after he entered our home we had him meet his new doctors including a dentists. At first the dentists said he did not like to treat children under three. 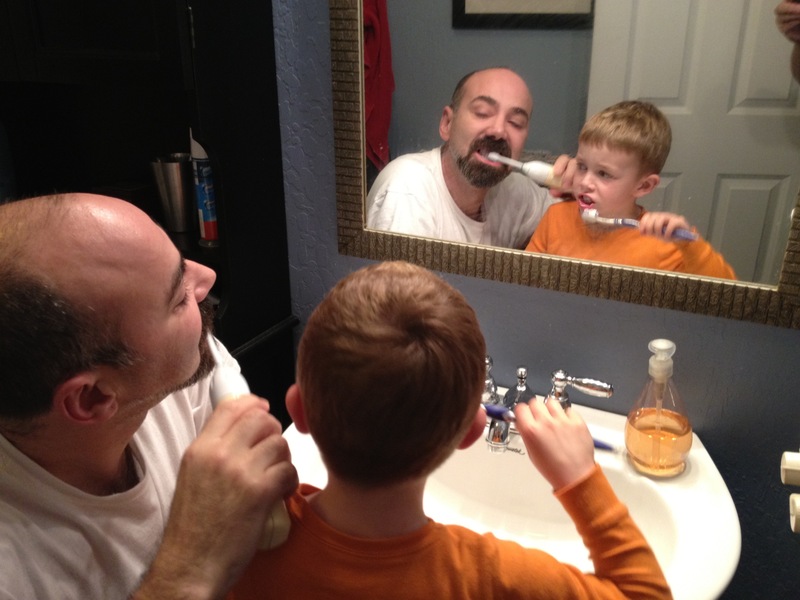 I explained that we had a court order from Logan’s Judge requiring regular dental examines beginning by age two. I also explained that I had some concern about Logan’s teeth being discolored. They were kind of grey and translucent looking to me. I thought that they had been neglected and needed to be checked out. Our dentists agreed and we went to see him.